It is always a pleasure to relax and read a Sara Paretsky story. This book finds V.I. Warshawski and Peppy, her golden retriever looking for two Chicagoans in Lawrence, Kansas. Vic is hired by friends of a film student who has disappeared from his home and workplace was vandalized. He is traveling with aged Hollywood star. The twists and turns this tale takes will keep you guessing as Vic’s investigation unravels. She touched bases with the army, the sheriff, a city Detective, biological weapons, and racism. Will Vic find the Chicagoans before her life ends? I highly recommend this book and series. 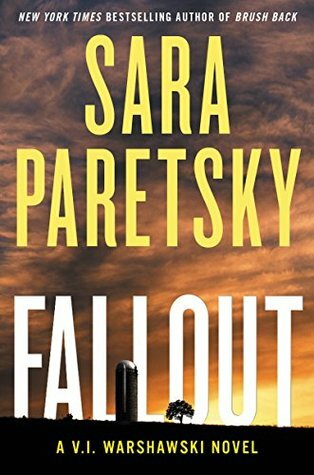 This entry was posted in Books, Uncategorized and tagged Cold Case, Dog, Favorite, mystery, Sara Paretsky, V> I> Warsshawski, Vic. Bookmark the permalink. I haven’t read any of this series. It sounds good. It is good V I is always getting trouble and changing lovers.